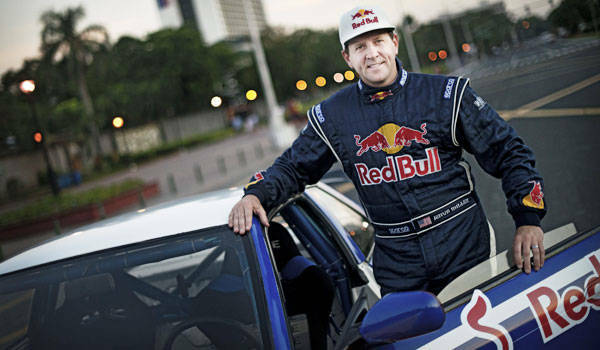 Celebrity drift racer Rhys Millen visited Manila over the weekend to promote Red Bull energy drink, as we announced here. As a matter of fact, we even held a contest that gave lucky TopGear.com.ph readers a chance to meet him in person. Well, time for you to see what exactly he came to our shores for. 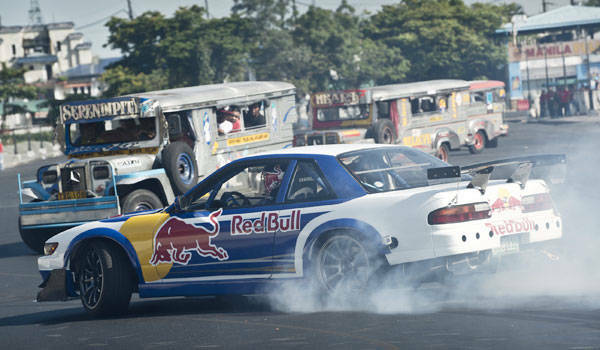 Here are photos and a video of Millen's drifting stunt at the Quirino Grandstand. 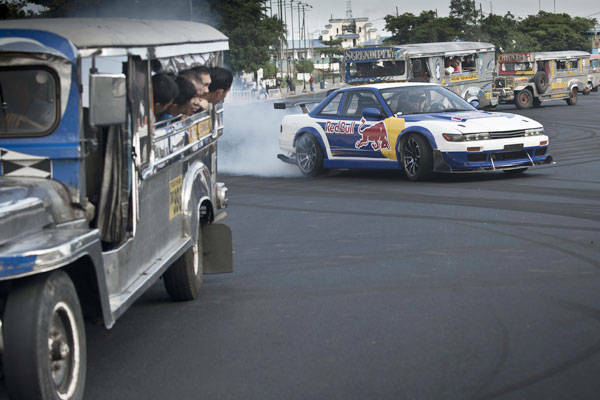 The car that Rhys Millen used for his drifting stunt in Manila was a 350hp Nissan Silvia, naturally wearing a Red Bull livery. We got word that this car is owned by Filipino drifter David Feliciano. 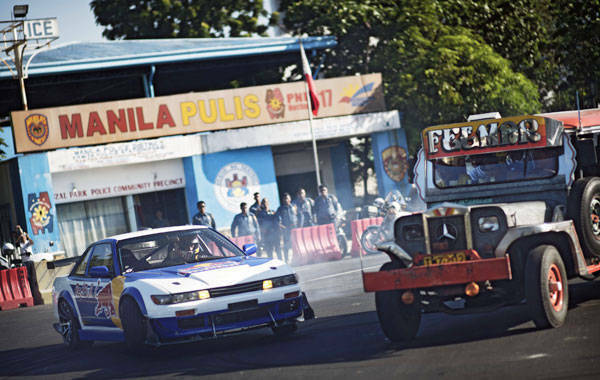 Rhys Millen drifted around static jeepneys, with wide-eyed spectators as well as officers from Manila's Finest watching intently. We're sure you won't be content with just still photos. Below is a one-minute video of the spectacle. Watch it.